Welcome to ‘Cove Gardens’ a boutique townhome development built with West Coast contemporary design right just a quick stroll from the ocean. This spacious end unit has 2 bedrooms with vaulted ceilings, each with ensuite bathrooms upstairs. 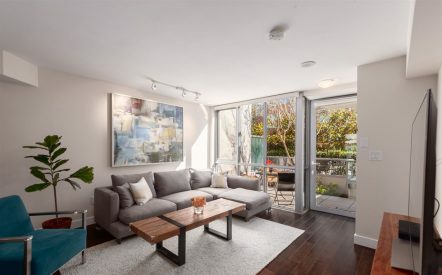 The main floor has big windows, gas f/p, engineered hardwood floors, powder room, tons of storage, Italian marble details and French doors to your patio. 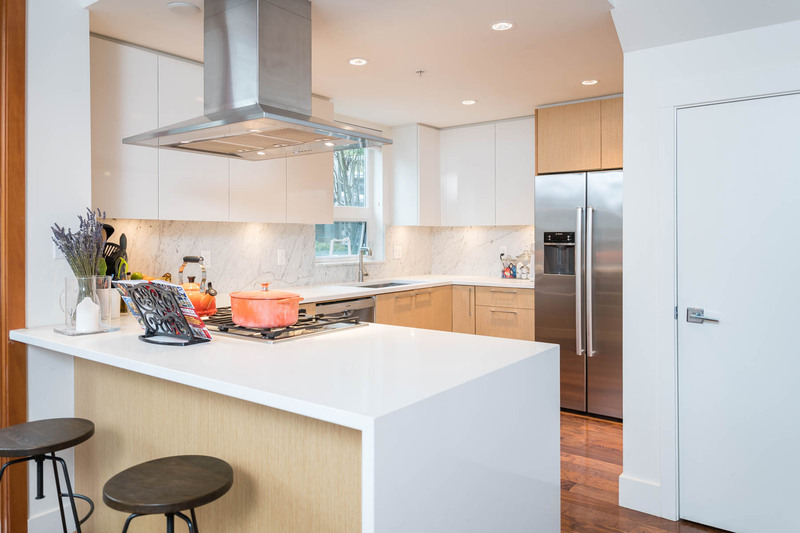 Topping it all off is high-end chef’s kitchen with stainless steel Bosch appliances, gas cook top, recessed lighting, two tone cabinets, carerra style backsplash & white quartz counters with breakfast bar & waterfall edge. Radiant in-floor heating, HW on demand, built-in closets, 2 parking stalls & one locker make this beauty an easy choice. This is Deep Cove living at its finest! 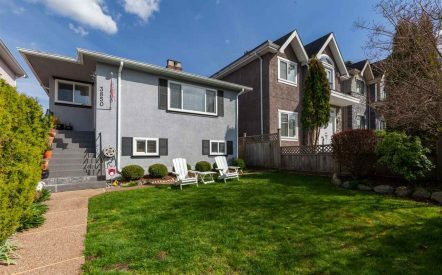 Check out all of the details of this townhome for sale, 101-2200 CALEDONIA AVENUE.